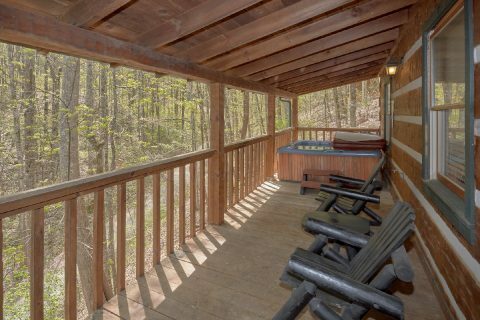 Your 4-Bedroom Cabin with Hot Tub and Deck -"Black Bear"
Come to "Black Bear", your 4-bedroom cabin with hot tub and deck near Gatlinburg. 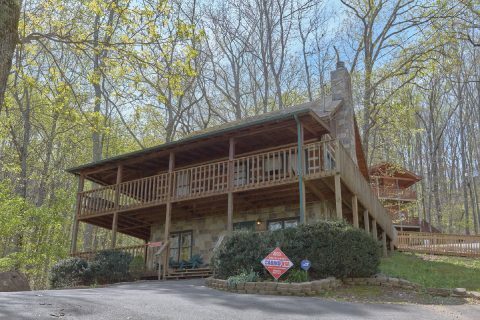 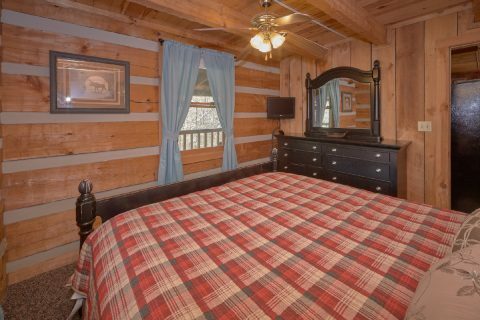 With a comfortable cabin interior and a convenient Smoky Mountain location, you're sure to enjoy an unforgettable vacation in the Smoky Mountains. 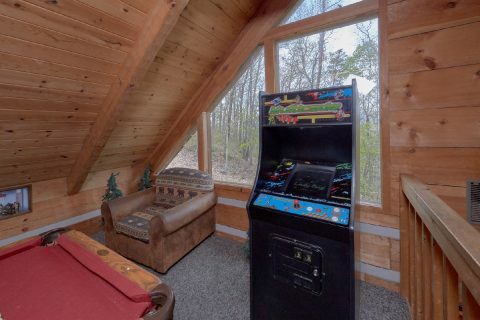 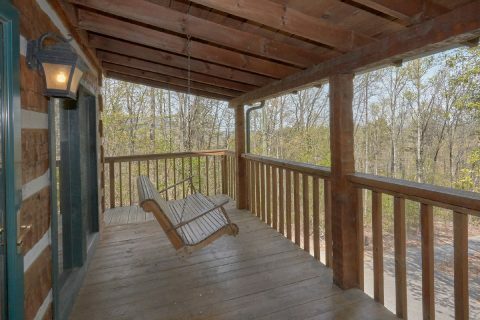 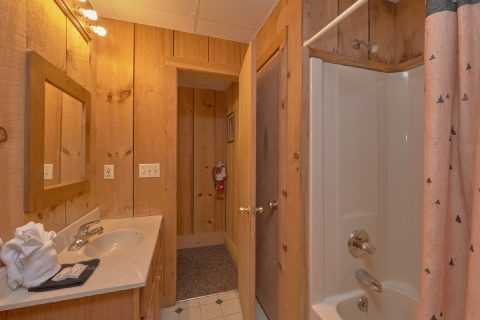 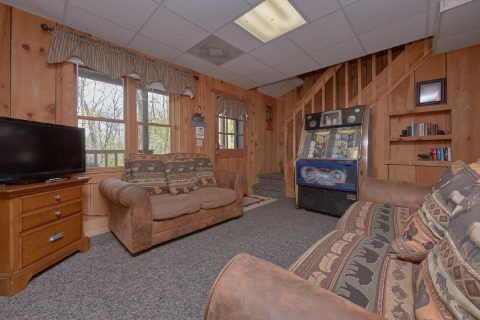 This cabin places you near ample opportunities for entertainment in the Smokies. 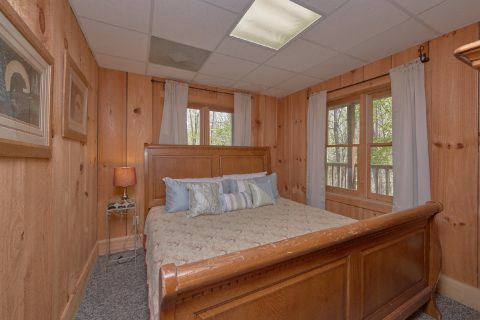 Play a round of mini-golf with family off the Pigeon Forge Parkway. 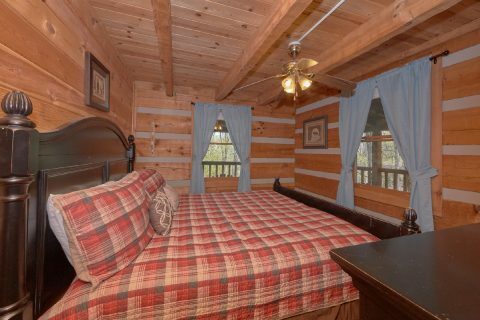 Enjoy thrilling rides at Dollywood. 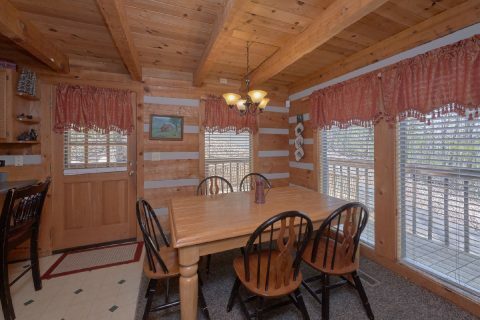 Dine in Downtown Gatlinburg. 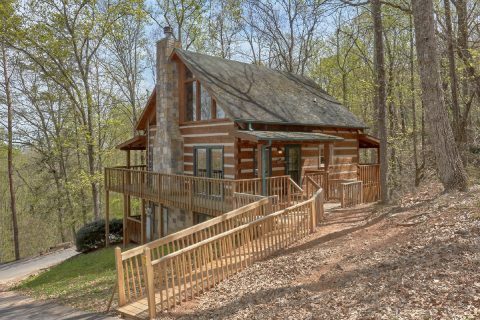 Hike in the Smoky Mountains. 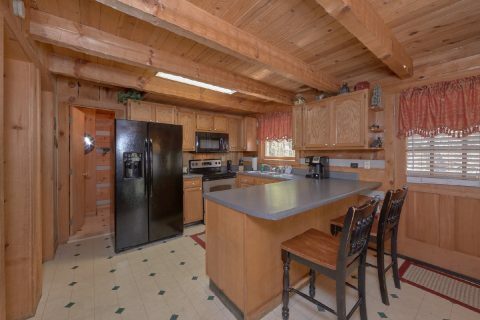 No matter how you want to spend your cabin vacation, your cabin allows you to enjoy it all. 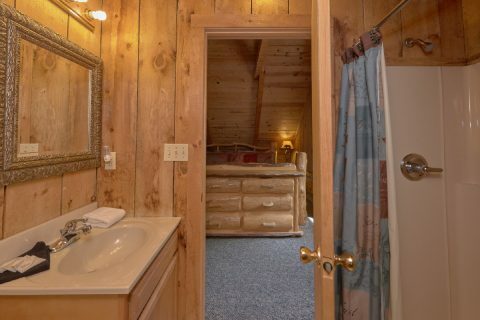 Back at your cabin, you'll enjoy a cozy cabin interior for an unforgettable cabin vacation. 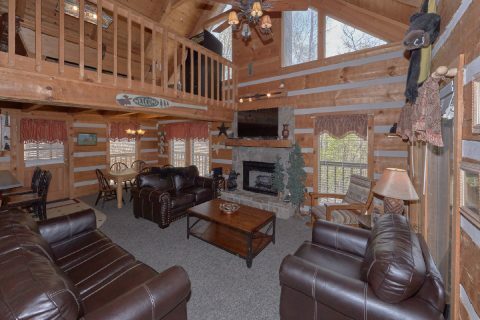 In your living room, you can enjoy the comfort of a sleeper sofa, chair, gas fireplace, and a cable TV, perfect for a laidback movie night in the Smokies. 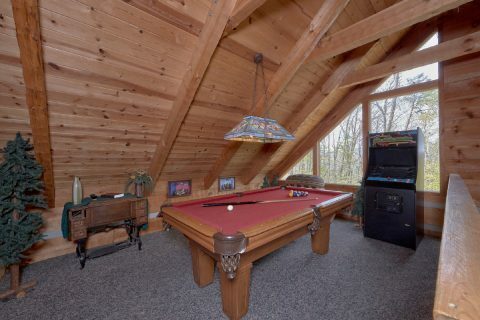 You're sure to enjoy playing with friends and family at the pool table while your favorite song plays on jukebox. 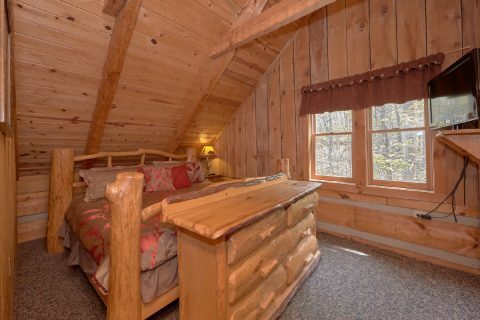 4 king beds offer plenty of opportunity to enjoy relaxation in the mountains while a sleeper sofa offers additional sleeping space. 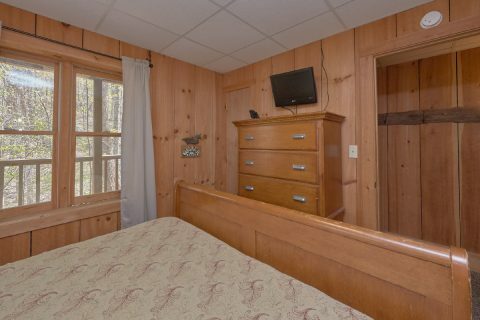 Your cabin also offers practical amenities such WiFi internet and a washer and dryer for a comfortable cabin stay. 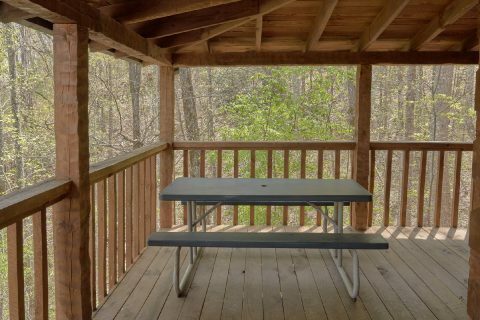 There's plenty to love about the outdoor spaces of your cabin as well. 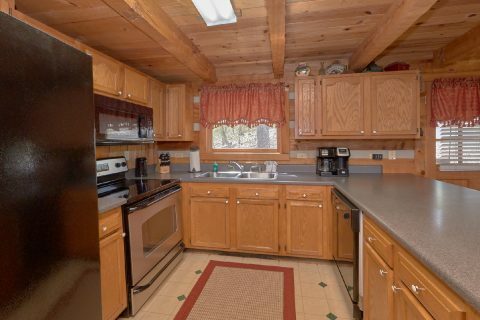 Enjoy a cookout complete with burgers fresh from your gas grill. 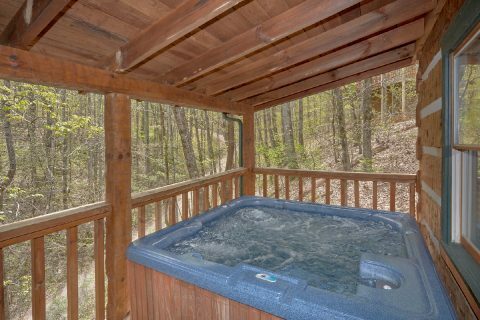 Your wrap around deck provides the perfect opportunity to enjoy scenic mountain beauty, while your hot tub provides the perfect place to let yourself forget your everyday worries. 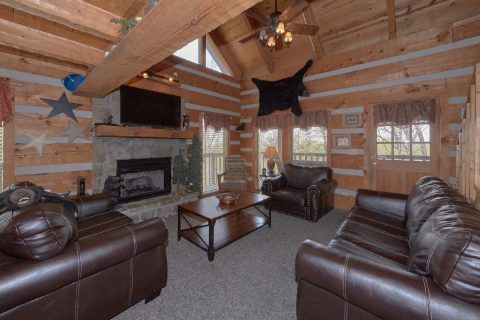 Getaway to the Smokies when you book "Black Bear" today! 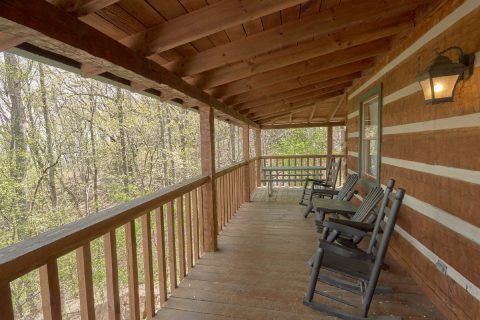 Even better, when you reserve this 4-bedroom cabin with hot tub and deck near Gatlinburg, you'll receive a 15% online booking discount.